This was an issue I was militant about during my two pregnancies – seatbelt safety. The fact remains that if a pregnant woman’s seatbelt is ill-fitting and her positioning isn’t ideal, it poses a threat to both her and her unborn child. Read on to find out how you can optimise your safety when driving while pregnant. Lotta Jakobsson is a Technical Leader in Biomechanics and Injury & Accident Prevention at the Volvo Safety Centre in Sweden; a country which has only experienced five child car accident fatalities over the past forty-six years. Sweden is certainly doing a whole lot right in car safety so with that kind of track record, make the following information your bible every time you get behind the wheel! – Remove bulky clothes so that the safety belt can be placed as close to the body as possible. – Pull the lap belt over the thighs, lying flat under the belly. – Make sure the torso belt is positioned between the breasts. – First adjust the seat so you can reach the pedals comfortably with as much distance between your belly and the steering wheel as possible. – Pull the lap belt over your thighs, buckle it in and pull tight. Make sure the lap belt does not run across the belly, but lies as flat as possible under the curve. – Position the torso belt across your chest, between the breasts to the side of the belly and pull tight. – Never tuck the shoulder belt under your arm or behind your back – that can hurt both you and the baby. Thanks to Ms Jakobsson and Volvo for this vital information. 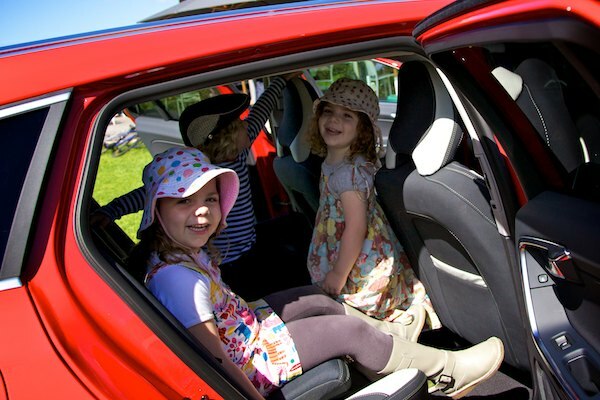 We attended a picnic recently where we learned an incredible amount about child car safety – we have more editorial to come on this burning issue in Australia and we’ll be asking for your input! 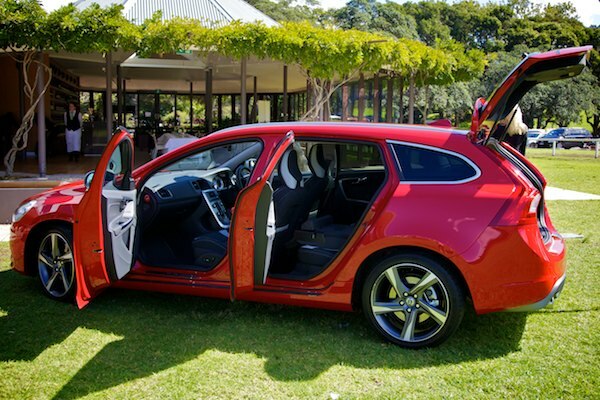 Here are some photos from the picnic day where we chatted with Ms Jakobsson, adored the new Volvo V60 (it has built-in booster seats!) 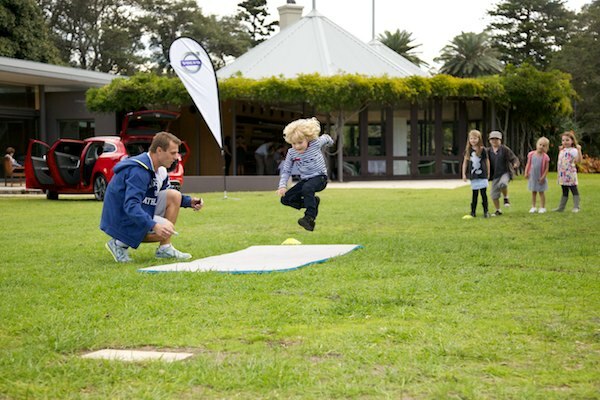 and watched sprinter Matt Shirvington put the kids through their fitness paces.